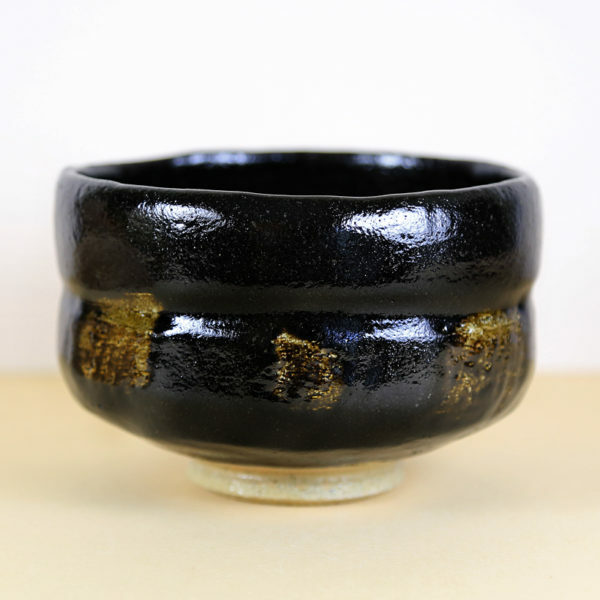 Upon first use of a new Raku tea bowl, it is recommended that you soak your Raku tea bowl in tepid water for 4-5 minutes to let the clay absorb a little water and become ‘accustomed’ to being used.It is also a good idea to soak a Raku bowl that is used every day for 1 minute in tepid water before each use. 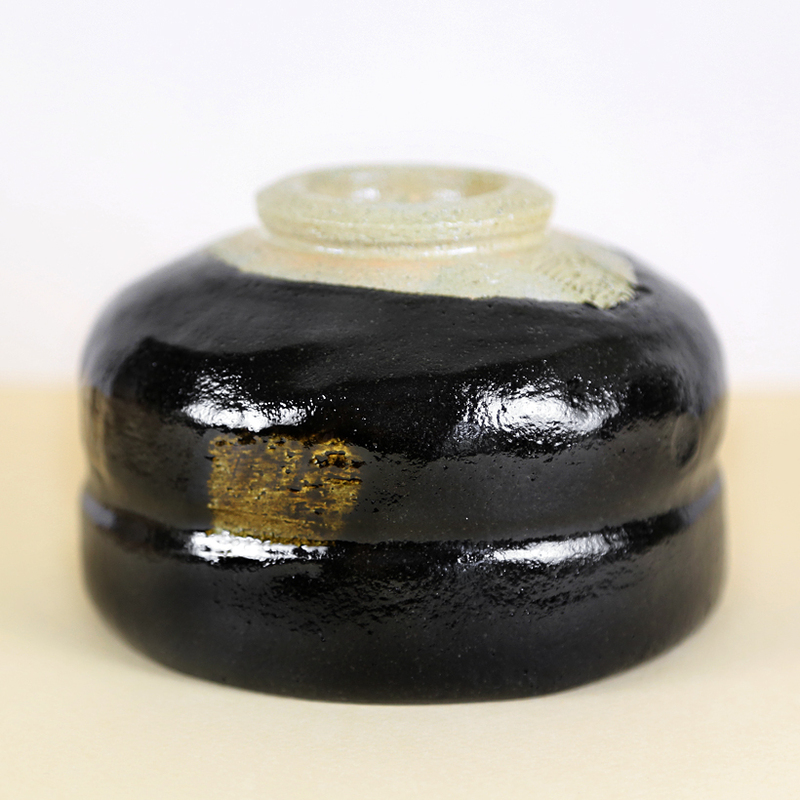 This raku tea bowl by Shoraku Sasaki III has a ‘waist line’ that cuts across the middle of the bowl, which is the ideal place for thumbs to rest when holding the bowl. 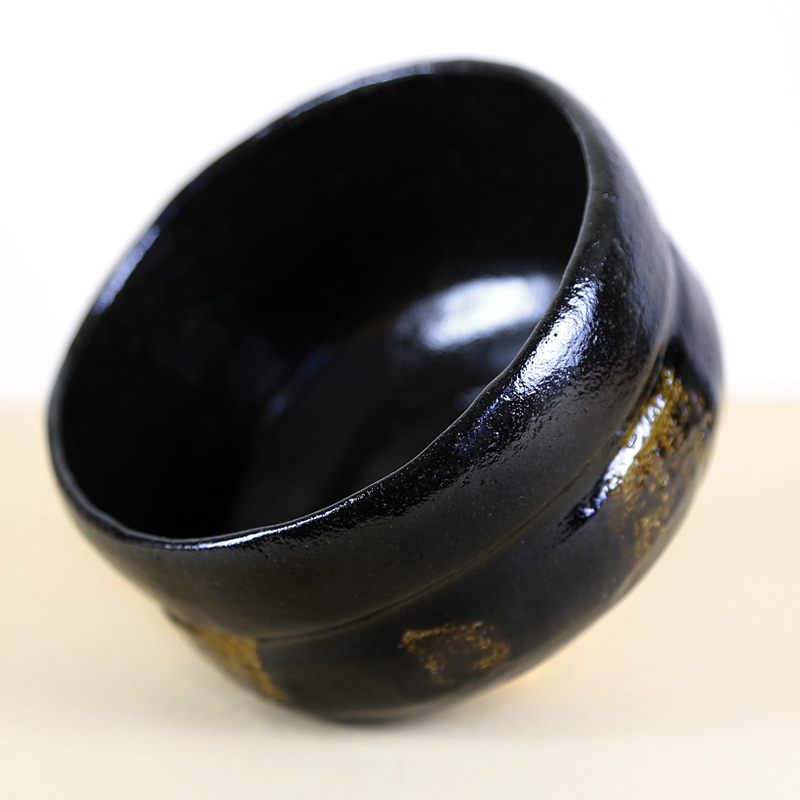 A tall foot-ring elevates the bowl to an easy-to-grasp height and has been left plain, without the covering of the thick black glaze. The lower half of the tea bowl features bold brush slashes in brown-gold. 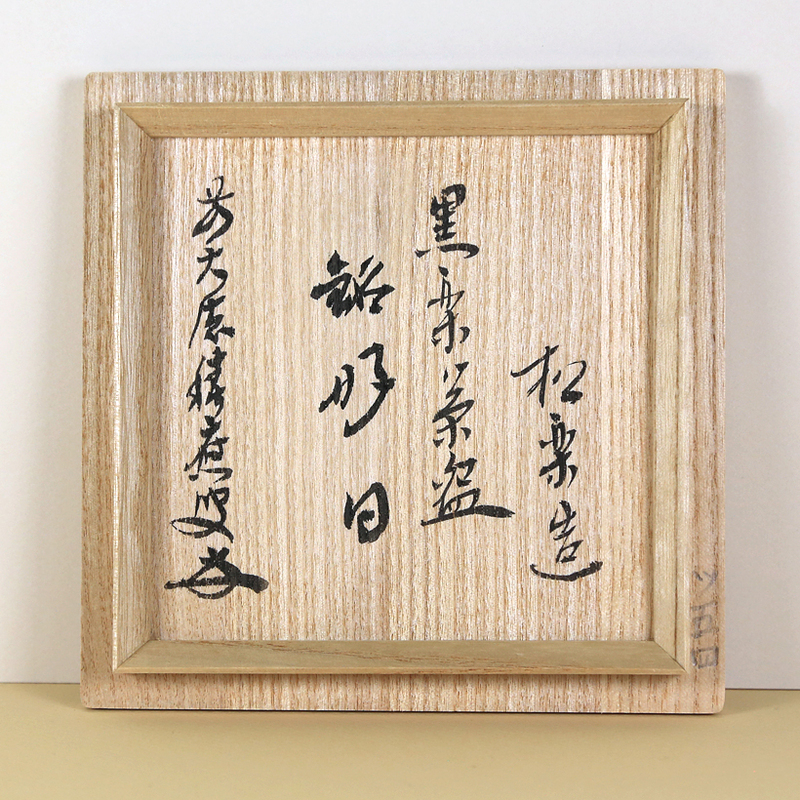 The potter has taken the tea bowl and the box to the Shinju-an Temple in Kyoto (a sub-temple of Daitokuji Temple complex) where the underside of the wooden box lid was inscribed with a saying or mei by one of the chief monks, Mr. Seiko Sukumoto. Indeed, we think it is a good day whenever we find ourselves holding a chawan with delicious matcha. 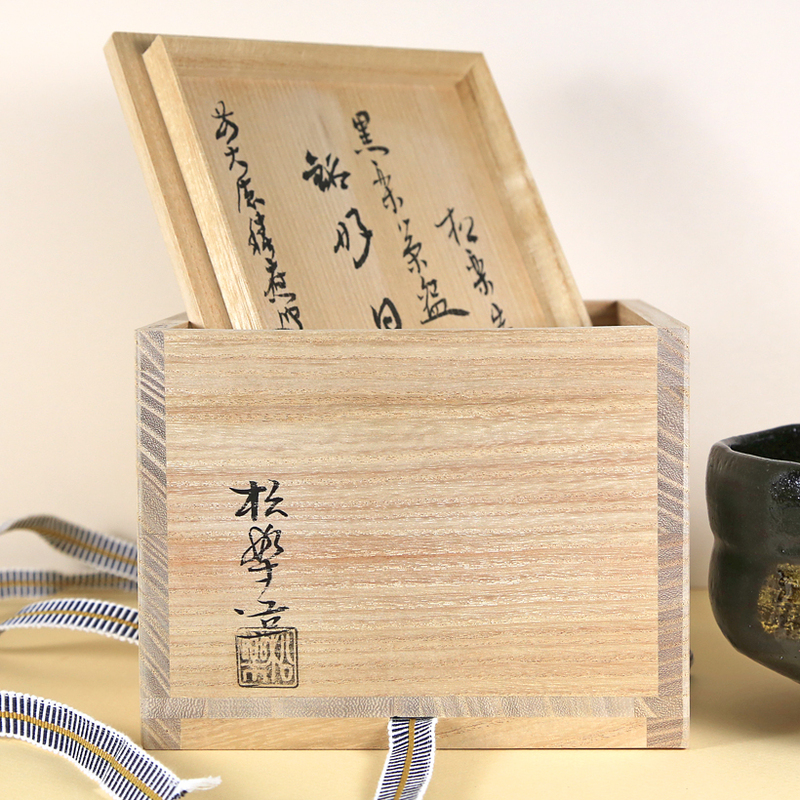 This tea bowl is a worthy addition to a tea bowl collection or as a fine gift for a Chanoyu devotee.